Pride Fighting Championship 33 THE SECOND COMING kicks off in Las Vegas, Nevada real estate on February 24, 2007 at the Thomas & Mack Center Arena. 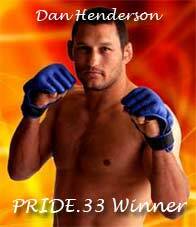 With Pride FC you hear and see the kicks, thuds and punches. This mixed martial arts fighting spectacular gives you an experience of a rock concert. MMA enthusiasts, beautiful women, pyrotechnics, state of the art light and sound are just a few of the happenings Feb. 24 in Las Vegas, Nevada. This will be Pride Fighting Championship second time in the United States. Caesars Palace Las Vegas and Dream Stage Entertainment, from Tokyo, will place two fierce competitors in the ring for one to become the next middleweight champion. 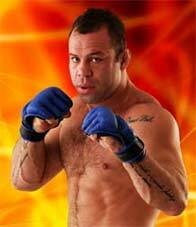 The pair will be Wanderlei “The Axe Murderer” Silva and Dan “America’s Best” Henderson an anticipated matchup.